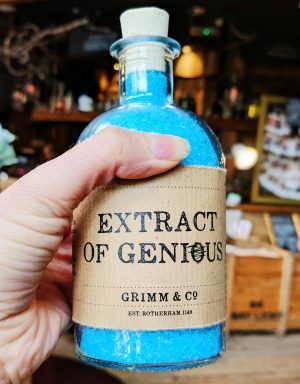 If you’ve always wanted to shop in Diagon Alley but haven’t been able to find a portal to the wizarding world then you’ll be happy to hear that you can visit a real-life Apothecary to the Magical – Grimm & Co. Hidden away in deepest, darkest Rotherdam, UK it occupies the site of an old pub near to the centre of town and is full of many wonders and secrets – most of which can be bought for a price, although not all. Despite making the quest to this enchanted destination twice, there are still areas that as adults, we may never be permitted to view, but that just adds to the charm. 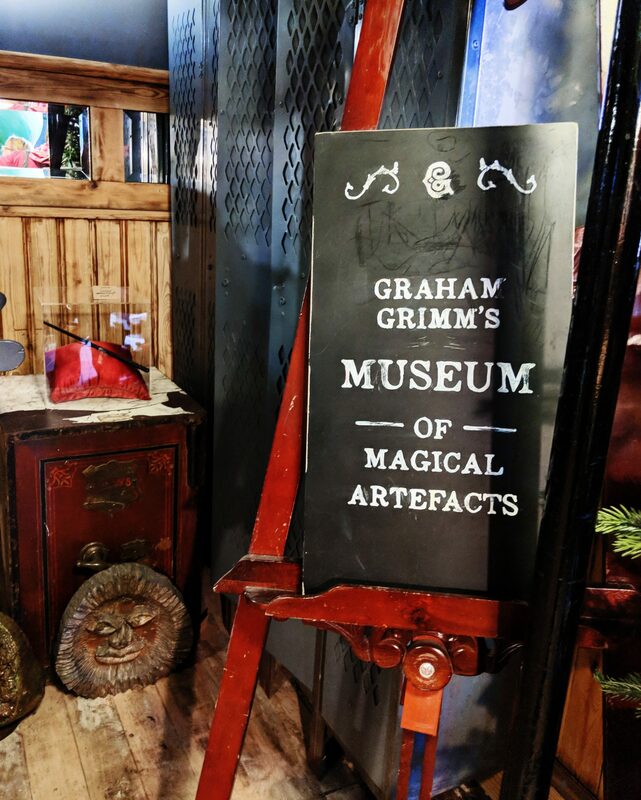 The ground floor is devoted to all manner of strange and wonderful potions, The Library of Forgotten Books and Graham Grimm’s Museum of Magical Artefacts. Upstairs…well that’s the zone we’ve never had the fortune to enter. Only young writers aged 7-18 (as well as a few highly qualified sages) are allowed into this bewitching space so Little M hopes that she will be lucky enough to able to slide down the giant beanstalk in a few years time. 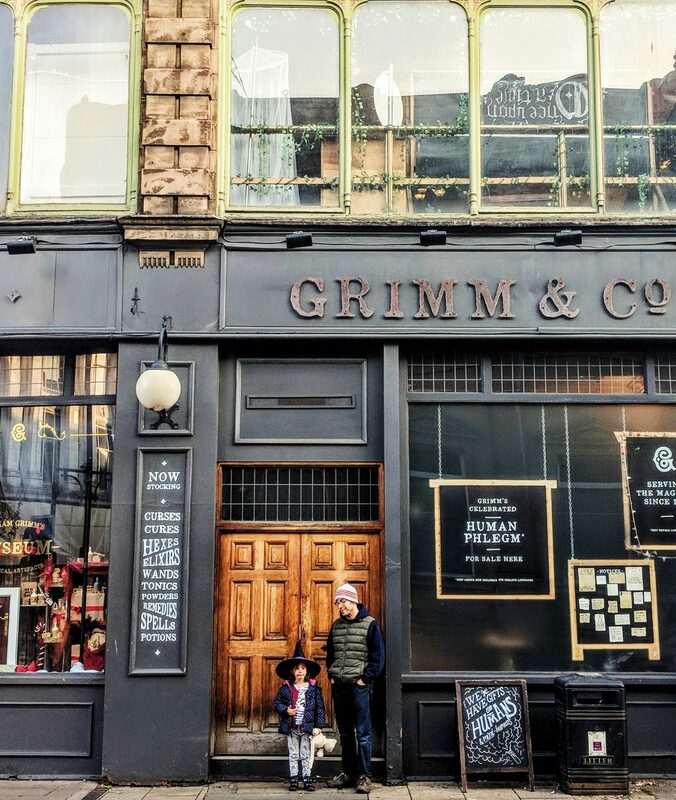 You see, aside from being a store full of enchantments, Grimm & Co is also a registered charity. 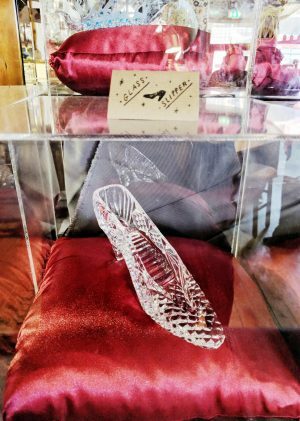 It ‘s run under the umbrella of the Ministry of Stories to encourage under-resourced children and young adults to develop their writing and creativity. Every penny you spend there goes towards providing workshops and mentorship for kids. 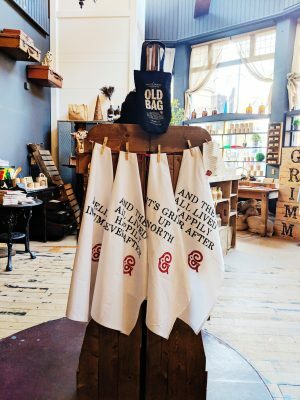 So when you visit Grimm & Co, you’ll find it’s not only a fun, free place to hang out, it’s inspirational too. 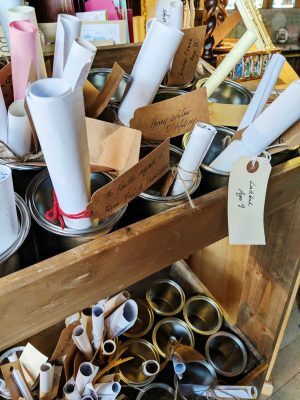 During the holidays they run sessions that young people can sign up for – both in the hidden Writer’s Pad and downstairs in the shop. If you fancy going to one of these then your best bet is to check their Facebook site. On a quieter day there’s still plenty to enjoy though. During our Grimm & Co visit we spent an hour browsing the exhibits, although older children will probably have a shorter attention span. You can write a letter to your favourite fairytale character and receive a reply for £2.50. 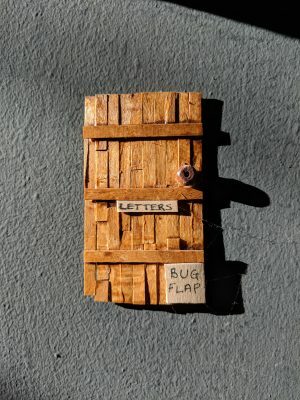 Another fun activity is to look for the tiny fairy doors and don’t forget to choose a free book from The Library of Forgotten Books. If your child is able to read there are lots of witty signs and notices to find. Graham Grimm doesn’t seem to have lost his sense of humour despite having lived for millennia (the shop was founded by him in 1148 but only became visible to mortals very recently). Then there’s the actual shop itself which sells an amazing range of magically-themed products ranging from t-shirts to umbrellas to smaller items such as badges, soaps and candles. These are inventively named (Grandma’s Scabs and Concentrated Concentrate for instance). 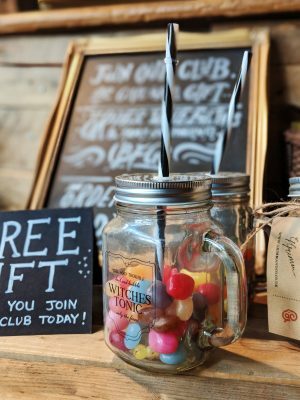 Last year we bought our brilliant broomstick from here and now have a growing collection of potions, cures, spells and elixirs in our downstairs toilet. These can also be bought online and delivered by owl if you can’t make it to Yorkshire. This is the easiest way to support the charity and there are also other ways to help them out too. You can become a Friend of Grimm or if you have wads of cash to spare, you can buy your own bespoke title of your choosing. Volunteers are actively welcomed and if I lived closer then I’d jump at the chance. 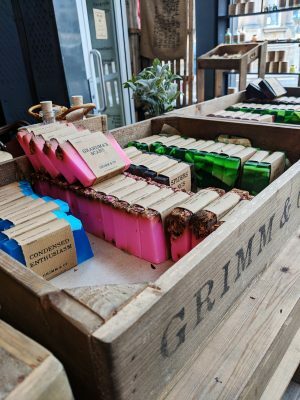 To find out more information about Grimm & Co you can follow them on Instagram, Facebook, Twitter and YouTube. What a fantastic idea for children! I wish this had been around when I was a child… I am going to have to send this to my sister for my nephews, for sure. How wonderful! Aw thanks for spreading the word! It is really worth a visit and Rotherham needs more customers! Thank you for your wonderful review. I’m sure we can get your mini-mortal on a workshop soon! PS – the elves are more than happy to pop the kettle on for those wishing to partake in a mortal ‘brew’. Slime, snails and puppy dog tails are optional. Yay! She has another year to go to qualify, but I’m sure she’ll be excited to join in when the time comes! Good to know about the brews – I’ll go with tea only although I’m sure the slime is delicious! What an amazing place! I’d no idea such a place existed at all! Thanks, once again, for sharing your wonderful experiences with us! I don’t think many people know because it’s in a place that not many people visit. I’m very happy to know that you enjoyed the tour!